There can be no doubt that more and more consumers are using chat services to engage with retailers’ customer service agents. Whilst social media for customer service is growing in popularity and people are still picking up the phone in significant numbers, it is apparent that chat is emerging as the channel of choice for many consumers. Recent 7 research has shown this increasing popularity of chat. Our survey of more than 1,000 UK consumers (and users of chat for customer service interactions) revealed that more than 37% of respondents use chat more now than they did 12 months previously. Why is chat so popular? The rise of chat as a customer service channel can be put down to a number of reasons, as illustrated by our research. More than half of respondents stated that prompt resolution to a query was the most welcome quality for a chat-based service. This stands to reason – people use chat because if it works well it allows them to resolve an issue quickly and also enables them to multi-task on another task simultaneously if they so wish. This quick resolution is driven and enabled by intelligent interactions, whereby the customer service agent is empowered with the right data to make the interaction as swift and straight forward as possible for the consumer. This in turn drives customer loyalty, with 19% stating they would show increased loyalty if an intelligent chat resolved their query or helped them make a purchase. Fourteen per cent of the research respondents said that websites that offer chat when they didn’t need it are irritating and also that having to repeat information such as an account number and details is the most frustrating element of using chat. So retailers take note – it’s not chat services per se that your customers are demanding; it’s intelligent chat services that get to the root of any issue promptly, providing effective and efficient real-time interaction with your customer service agents. Not all chat platforms are the same. First-generation chat platforms offered static button-based visitor targeting. Second generation chat platforms advanced this by allowing chat administrators and web professionals to build some basic logic into visitor targeting and hot lead identification. This logic is based on ‘business rules’ – simple conditional “if-then” triggers that are applied to visitors on the website to decide whether to invite them to chat. 7 Assist is a further evolution of chat. Instead of using rules-based logic, 7 Assist delivers more intelligent chat by applying predictive models in real-time to accurately determine whom to invite, when to intervene, how to engage, and what to recommend. Retailers need to be intelligent about how and when they offer chat, and also with what type of approach they first make to customers. The cost of getting the approach wrong can be huge. 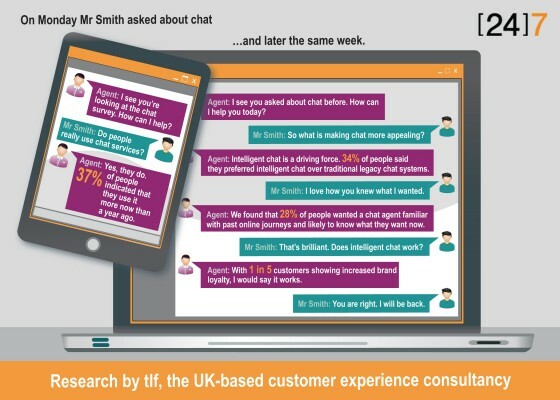 Not only would one in five UK consumers show increased loyalty to a brand after an intelligent chat interaction that resolved their query, but one in ten consumers in our research admitted they had abandoned a sale because of a poor live chat experience. So chat can have an impact on a retailer’s bottom line. That’s important at any time of the year, but as we head into the Christmas season when retailers do so much of their annual business, it is even more so. Chat is a powerful tool for any retailer to have at its disposal in providing a strong and memorable customer experience. But it needs to be intelligent chat, or there can be a true impact on the bottom line. 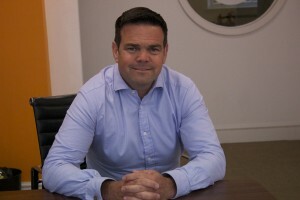 For further information on 7 Assist please visit www.247-inc.com, email queries@247-inc.com or call +44 (0) 20 7240 9276.